10 arriving 26-Apr-2019 eMail us to reserve stock. 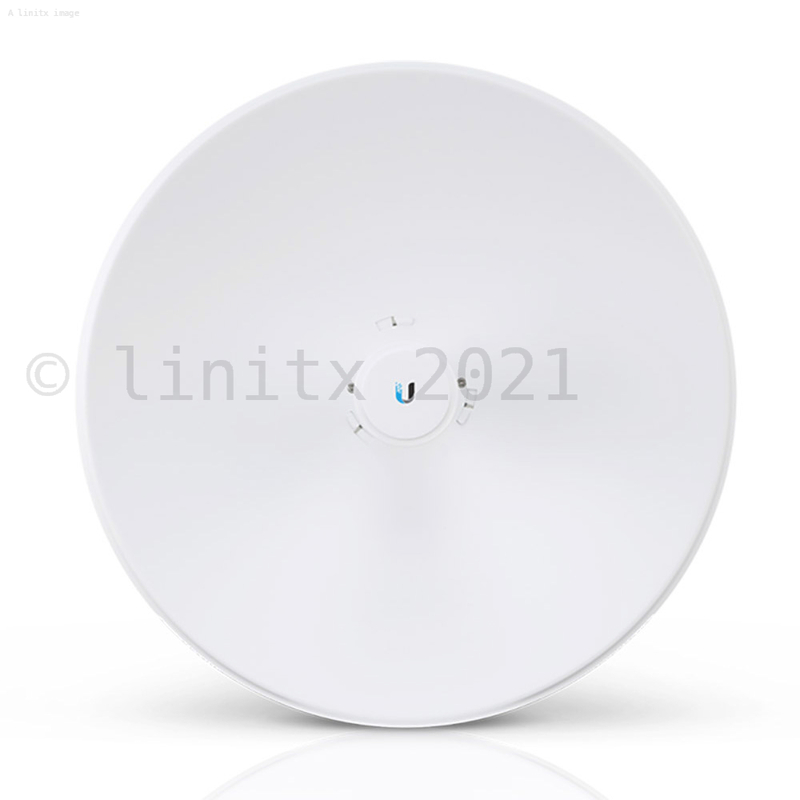 The Ubiquiti airMAX PowerBeam AC (PBE-5AC-GEN2) is a direct replacement for the previous model PBE-5AC-400. 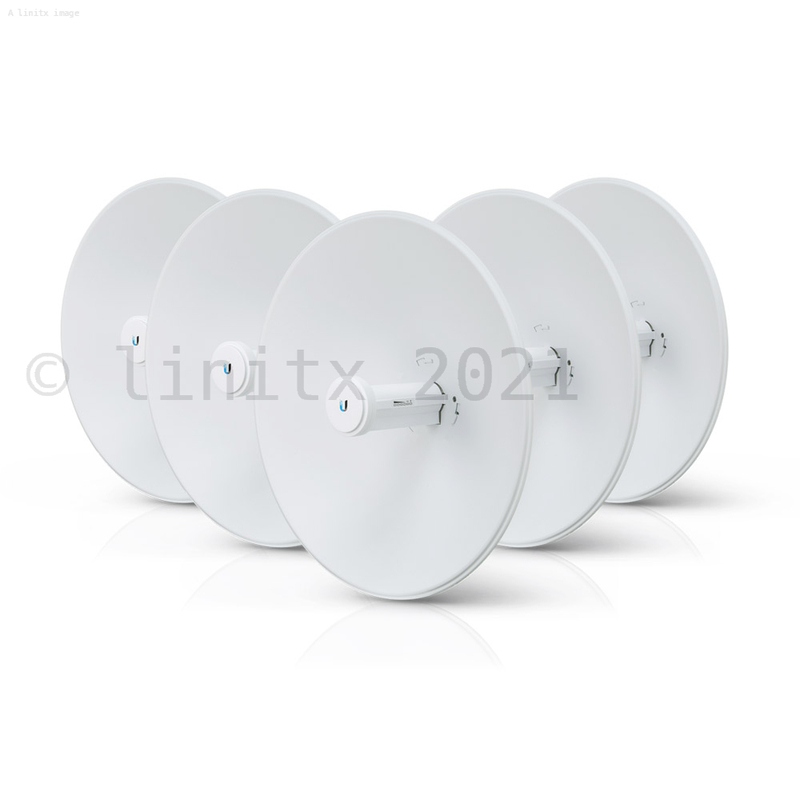 Introducing the new Powerbeam 5AC Gen 2 from Ubiquiti Networks. The PBE-5AC-Gen2 directs RF energy in a tighter beam-width and spatially filters out noise resulting in improved noise immunity - an especially important feature in crowded RF environments. In a first for the Powerbeam range the PBE-5AC-Gen2 features dedicated Wi-Fi management on 2.4Ghz. 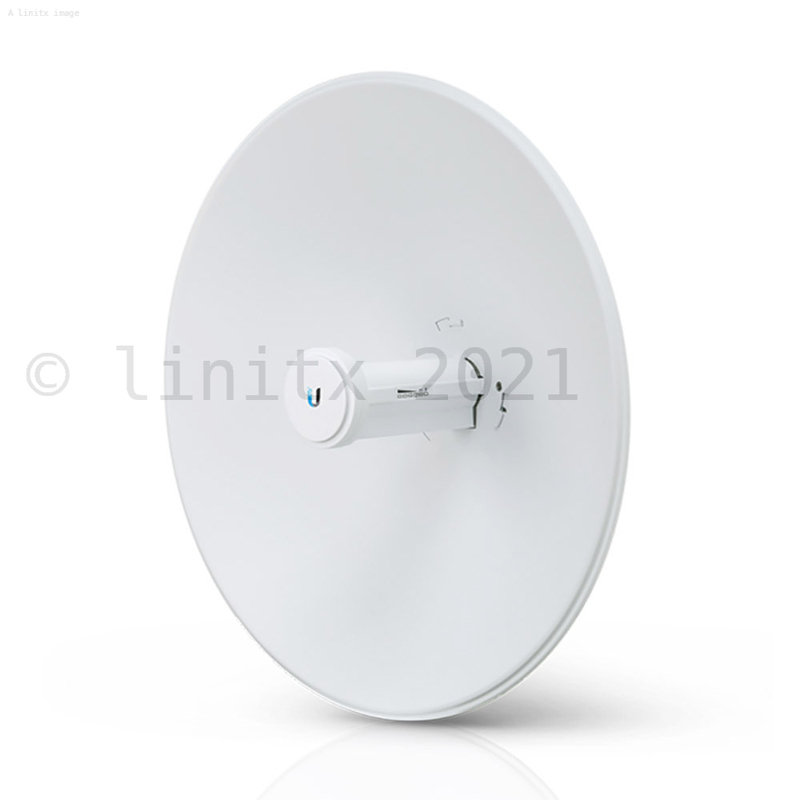 Integrated Radio Design- Ubiquiti's InnerFeed technology integrates the radio into the feed horn of an antenna, so there is no need for cables to connect the radio to the antenna - improving performance by eliminating cable losses. Management Wi-Fi Radio- The PowerBeam AC integrates a separate Wi-Fi radio for fast and easy setup using your mobile device. Improved Mounting and Surge Protection- Featuring enhanced protection against ESD events, the PowerBeam AC offers a more robust mount with a convenient lifting loop or handle. Plug and Play Installation- The PowerBeam AC requires no tools for assembly; only a single wrench is required for pole-mounting. Performance Breakthrough- airMAX ac products offer improved latency, noise immunity, scalability and significantly increased throughput performance. 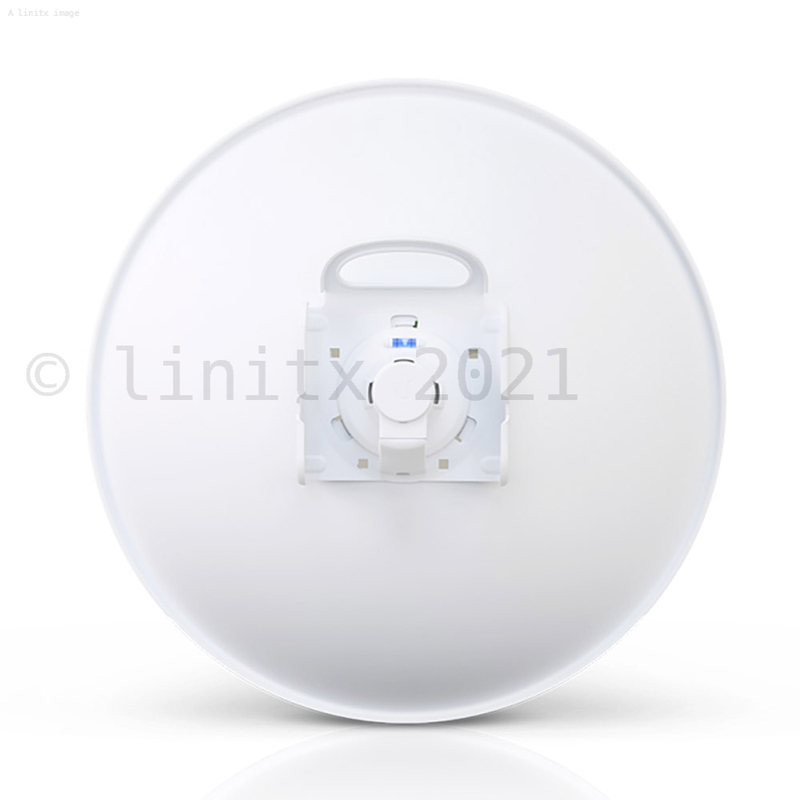 Superior Processing- Ubiquiti's airMAX engine with custom IC dramatically improves TDMA latency and network scalability. 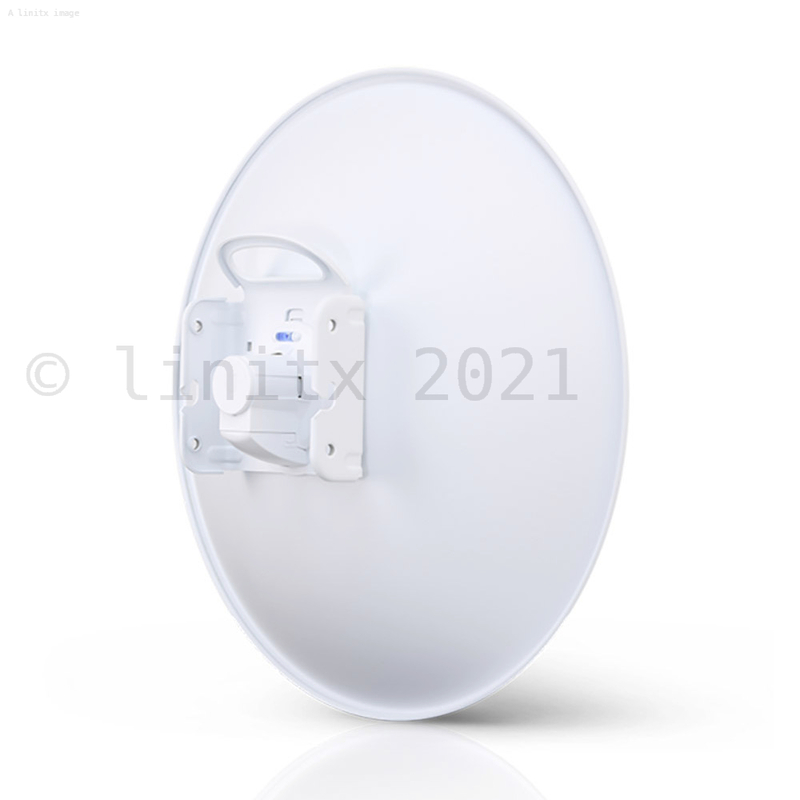 The custom silicon provides hardware acceleration capabilities to the airMAX scheduler, to support the high data rates and dense modulation used in airMAX ac technology.